Rev. Arledge "Keith" I want to thank you from my heart for the kindness you showed us on the loss of our son, and for the outstanding sincere service you held for him. We are all truly honored, as our son would of been. You have our eternal gratitude. Thank you so much for making our dad's funeral/viewing such a special memory in honor of his life. You all took care of everything gracefully and meticulously during this difficult time of our lives. Thank you for making us feel taken cared of and for managing all the arrangements and details from beginning to end. A big thank you to all of the staff who took us under their angel wings. Stress and sorrow for the lost of my husband and children's dad was acknowledged by real people with real feelings. The beauty of it was that they guided us through the process, took their time to talk to us about all the options with no pressure and gave us the "last word" ! Above all, they were open mind for what we wanted the most: A great celebration in honor of Michel. All the work behind the scene was done with professionalism (picture, video, cards etc... Thank you and God bless you all! Thank you for my mom's lovely service and the kindness that you showed our family. Janna, it has been a pleasure to speak with you through the years. You are always friendly and helpful. Justin, the service you did for our mother was perfect. I appreciate your caring manner and helpfulness. Jason, the music and pictures that you and Justin put together meant a lot to us. I appreciate your graciousness and your attention to detail. Jason and the staff went above and beyond to take great care of our mom. It was very comforting to know she was in such caring hands. Our family will be forever grateful for the kindness shown us and our dad during such a difficult time. Thank you for everything. We appreciate it. My family would like to thank you for the beautiful services that you had for our father, Don Karriker. 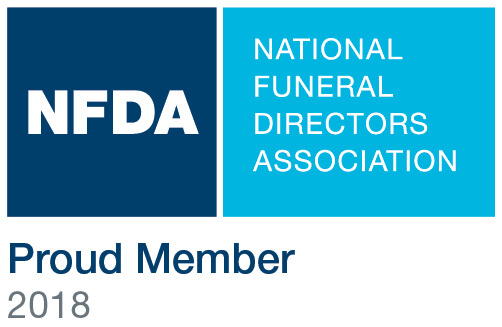 Your arrangements were fantastic for the visitation, funeral, and the burial at DFW National. Emerald Hills could not have done better. Thanks so much for your care in all the details. The men and women of the Arlington Police Service Center on SW Green Oaks thank you for the goodies and for thinking about us. Sarah, I can't thank you and your staff enough for the very thoughtful and professional services provided for my daughter's funeral. You were very accommodating to our requests and needs and we simply would have fallen apart with your guidance. You and your organization are deeply appreciated! "Zach, Thanks so much for your leadership and support for our mother's burial planning". “Thank you so much for all of your help and thoughtfulness in planning our Dad's Funeral. You really helped us during this difficult time. All of the staff members were so kind and thoughtful. Again, thank you so much!" "Sarah, Thank you for all of the help you gave us during this difficult time. Thank you for having the patience during a time that seemed like a blur due to the transition from Colorado to TX, and for the updates. Thank you so much Sarah." "Zach/Sarah and Emerald Hills, Words cannot express how much we appreciate what you have done for Nathan's final service! From the moment we sat in your office to the beautiful visitation and the funeral and graveside service, your kind and generous diligence could be noted. A huge blessing to the family and a great honor of testament to how much you thought of him as a minister and a friend! "Thanks" is not sufficient, but THANK YOU and God Bless You." “Sarah, "Thank you for your constant care, communication and compassion. You really made everything so much easier than we could have ever expected and for that we can never thank you enough." "Thank you so much for your kind service to our family. My dad would have been pleased. You went to great effort to make sure he received the honor guard. We really appreciate your attention to detail." "Dear Zach, I appreciate the patience, time, guidance ,and direction you gave to our family during this most difficult time. Thank you for being the gentle, kind, listening person that you are...you are the person who brought the peace and calm to the table for me. Thank you"
Zach, "Thank you for all you did to help the family during our loss. We could tell that was much more than just a job to you. Everything was taken care of as Pop asked and alot more than we expected. Thank you for all the extra effort to help us. Everything was perfect. We trust Emerald Hills and we have my pre-paid there too. God bless you. You are a special person". "Zach and Staff: Thank you for providing great customer service to us for my mothers service. You all were so kind, helpful, patient, accommodating, sincere and thoughtful." "Zach, How can we express our sincerest gratitude to you and your staff for your kindness and help during our time of our greatest loss of our daughter, you helped us so much we will always be so grateful to you. Your grace and professionalism will never be forgotten. it amazes me how a person, at one moment, who is a stranger to us could touch our lives so much." Thank you so much for all of your help and thoughtfulness in planning our Dad's Funeral. You really helped us during this difficult time. All of the staff members were so kind and thoughtful. Again, thank you so much!" Sarah, "Thank you for your constant care, communication and compassion. You really made everything so much easier than we could have ever expected and for that we can never thank you enough." Zach, Thank you so much for all your help planning the memorial for my grandparents. I really appreciate all the help and support you gave us during this difficult time. Emerald Hills Funeral Home - Thank you for all your help with my aunt's funeral and burial, your thoughtfulness meant so much to us! "Zach, Thank you and your staff so much for all the help, care and concern you extended to my brother and I after the loss of our Mom. You are deeply appreciated. "Thank you for providing a wonderful experience with the interment of our parents!